This email prompted me to search the auctions sites. 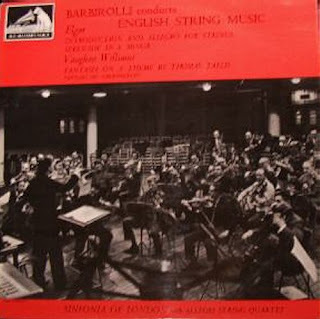 It appears my mint copy of the original LP issue of Barbirolli conducting English string music (ASD 521 in the UK) is worth upwards of 50 pounds sterling. I wonder how many MP3 files will be worth that in 45 years time? Brian, perhaps it is worth looking here? And what a comment on the mess that the financial wizards have got us into. My EMI LPs may be worth more than my EMI pension.